Hi, everyone! Selena from Find Us Lost here. You might remember me from my latest guide to Europe’s Best Christmas Markets. I used to live in Los Angeles but now I travel the world taking photos with my husband, Jacob, and travel blogging full time. 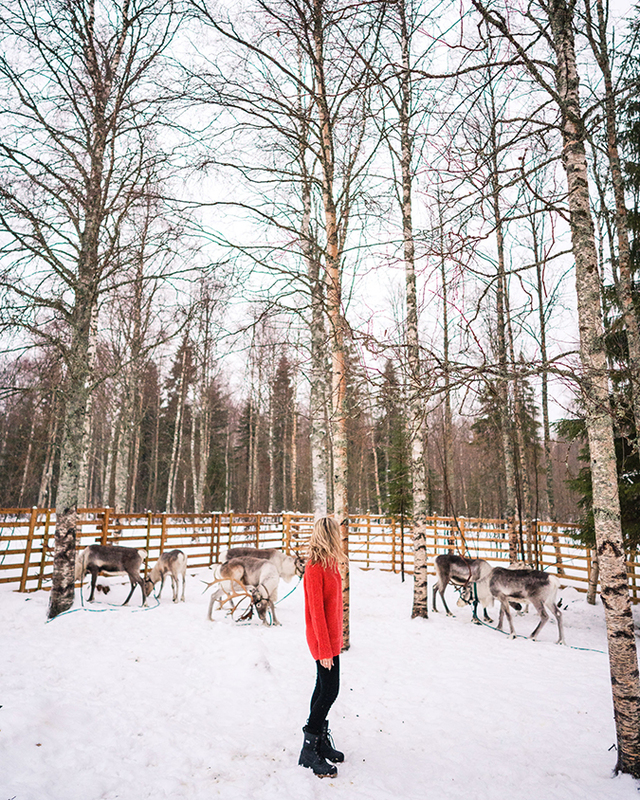 I’m so excited to share my latest trip with you, to a destination I’ve been hoping to visit for years: Lapland, Finland! We flew into the Kemi airport and rented a car for this trip, which was essential to get around with. It’s a bit different driving in a lot of snow, but totally doable (rental cars will have snow tires) and makes traveling around Lapland much easier. Hotel Merihovi – This historic hotel is centrally located in Kemi. It’s a short walk from local restaurants, the Kemi Church and the SnowCastle. Select rooms have built-in saunas, and the hotel also has one for guests. 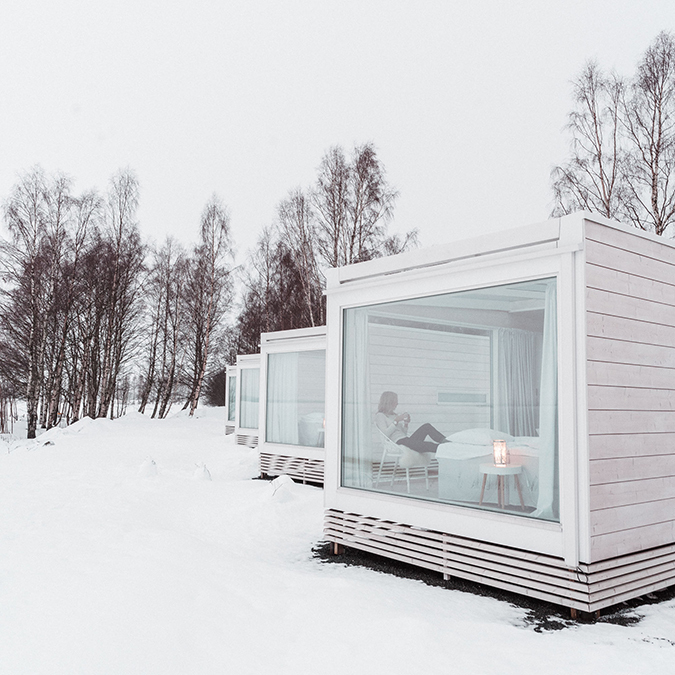 Kemi Seaside Glass Villas – If you’re all about having a glass ceiling to see the northern lights, this is your best option in Kemi. These villas are modern and equipped with a kitchen so you will feel right at home. Lots of activities are available to book through this hotel, but keep in mind it’s a splurge. Bonus: from mid-January, this property is home to the SnowCastle of Kemi, an ice hotel (and yes, you can stay overnight there too!). Our cozy bedroom at the Seaside Glass Villas in Kemi. Pizzeria San Milano – We loved the vibes at this quaint, family-friendly pizza restaurant with build-your-own pizzas. Restaurant Wok Thai – Locals and visitors alike rave about this small Thai restaurant with a daily lunch buffet. Hotel Merihovi Restaurant – We opted for an afternoon lunch here and it did not disappoint. I’m not a sweet tooth, but the white chocolate dessert we ordered was my absolute favorite! 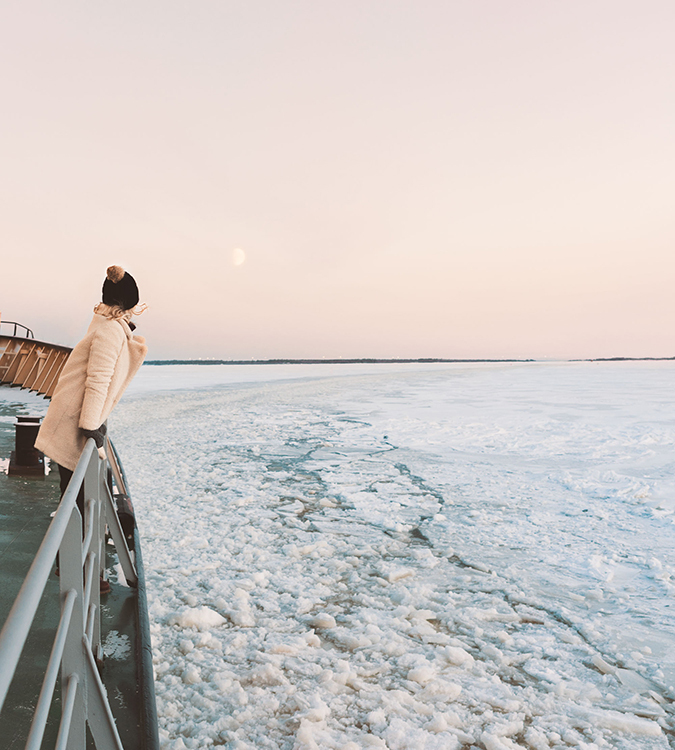 The Sampo Icebreaker tour – This was one of our favorite activities in Kemi. 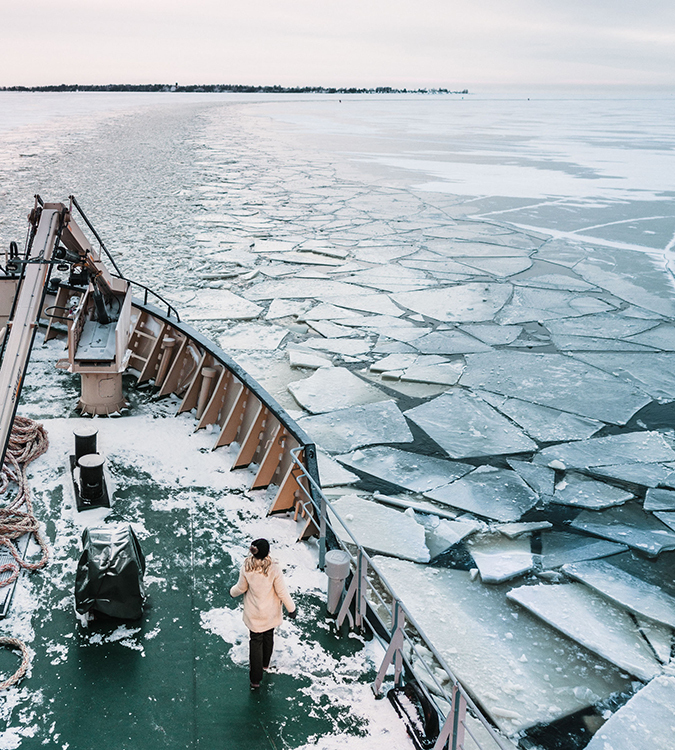 The tour begins with lunch in the dining room, and then you’re free to wander around the ship and experience incredible views of the frozen sea. The best part was the floating experience in the water, a must-do! 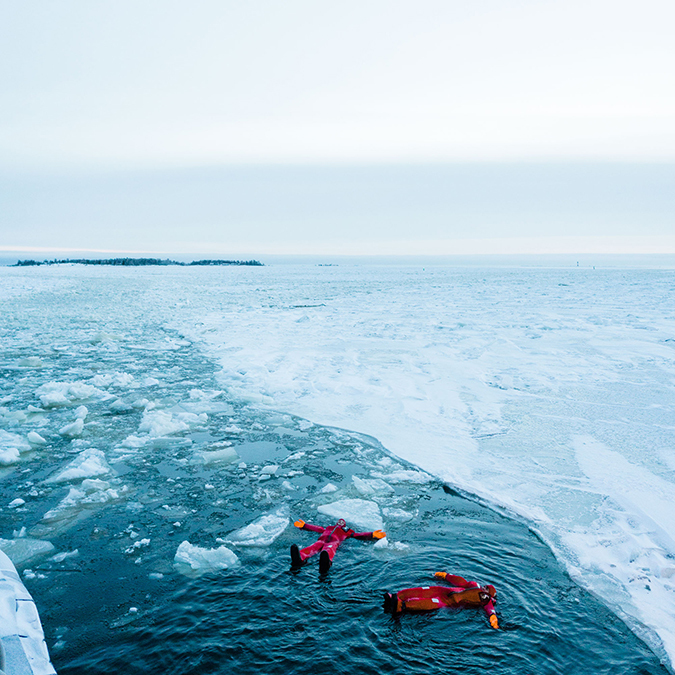 Floating in the Arctic Sea was unlike anything I’ve experienced before. Check out Kemi Church – I’m a sucker for any pink buildings, and this gorgeous church is no exception. Chase the northern lights – If the skies are clear, this excursion is a must. You’ll be taken into the forest at night to see the Aurora Borealis, between visiting a Finnish hut to sip fresh berry juice and fry sausages by the fire. Go dog-sledding – This husky farm is family-run and completely amazing. 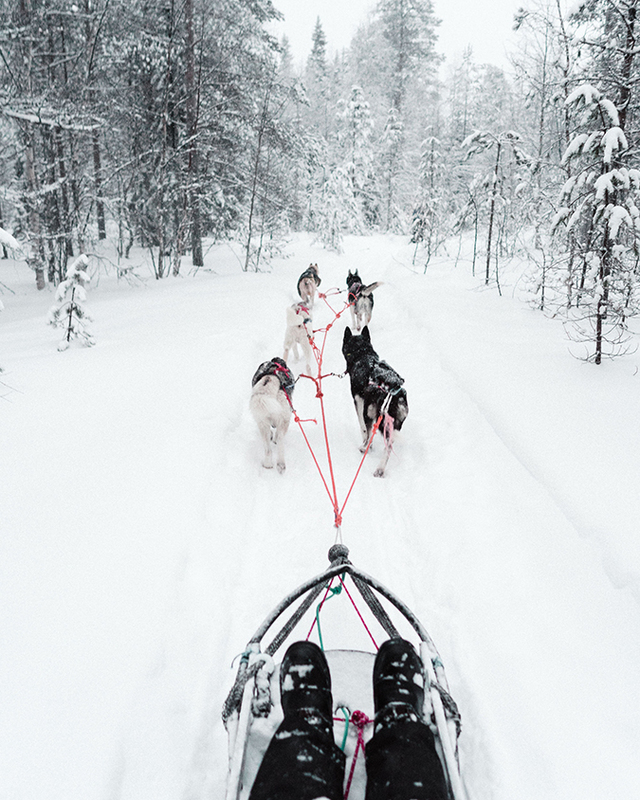 You’ll fall in love with the dogs as soon as you arrive (they get so excited to see people), and there’s nothing like driving your own husky sleigh through the frozen Finnish landscape. Heading into the forest with our very own dog sled team. Experience the SnowCastle – Whether you stay overnight, dine at the restaurant, or just go to walk around, this is a must-see if you’re visiting Kemi from January to April. Just be sure to check the SnowCastle opening schedule before you go. 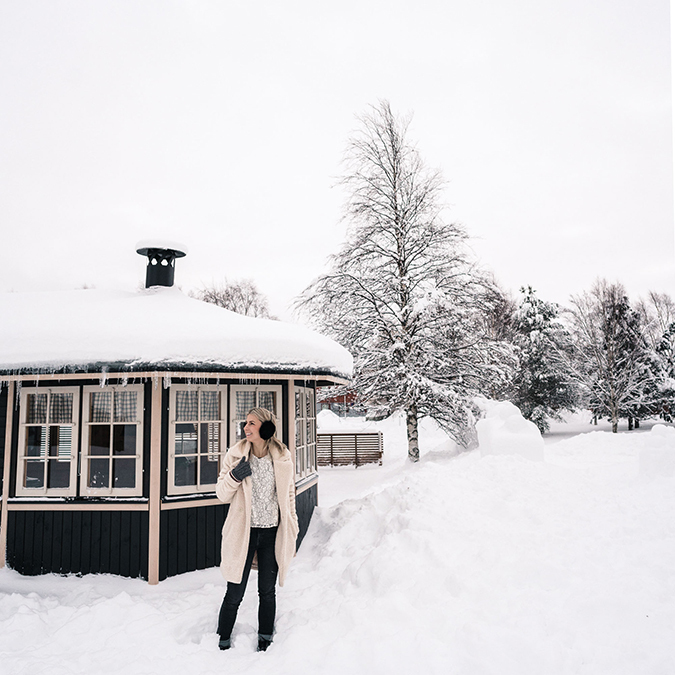 Visit Santa’s Seaside Office – Experience the Christmas spirit and some traditional Finnish pastries and glögi (mulled wine) in this coffee shop. The outside of Santa’s Seaside Office. Kakslautten Arctic Resort – Chances are you’ve seen photos of this famous igloo hotel, which is situated in the north of Finland. If experiencing the northern lights is at the top of your list, the accommodations don’t get better than this. Levin Iglut – Another igloo option is Levin Iglut. 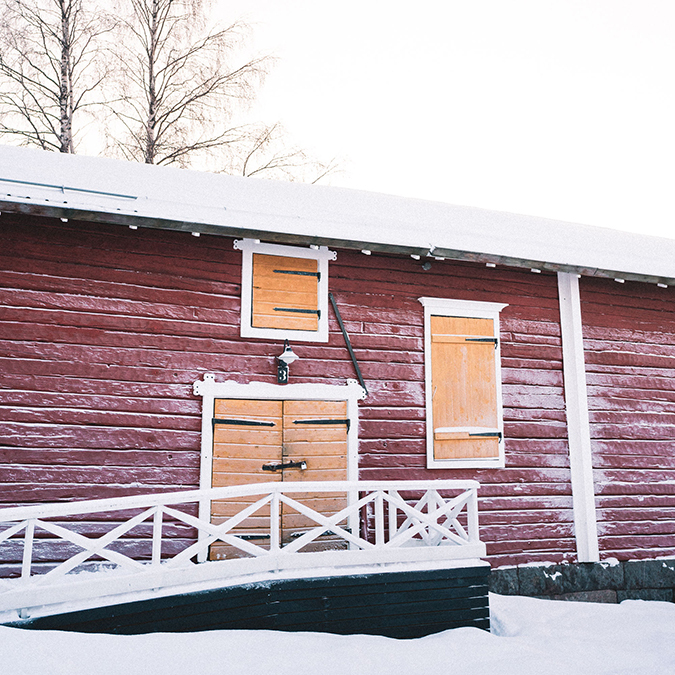 The benefit of this hotel is its close proximity to the city of Levi (only 10 km away), though you still get the benefit of a quiet, secluded retreat. 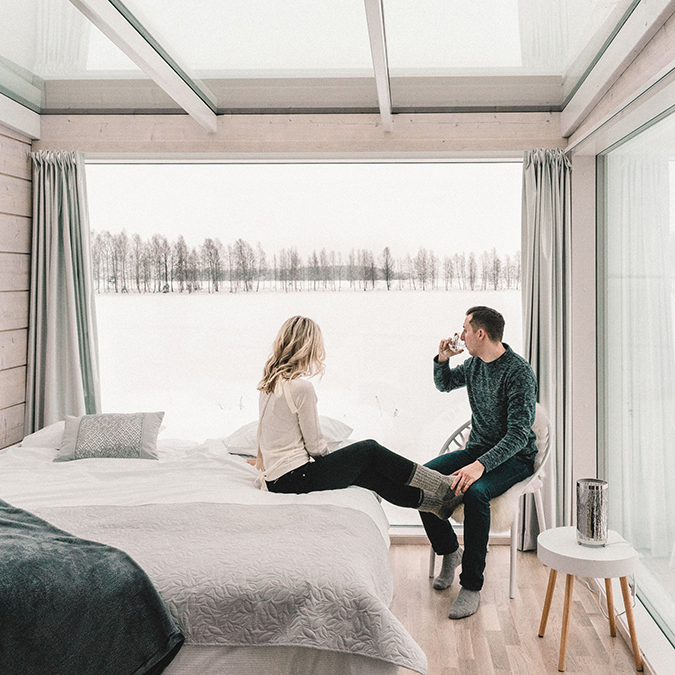 Arctic Treehouse Hotel – A new take on the glass-ceiling experience of many accommodations in Finland, this luxury hotel combines modern design with local Lappish traditions. There’s nothing better than a cozy hideout with views of the snow. 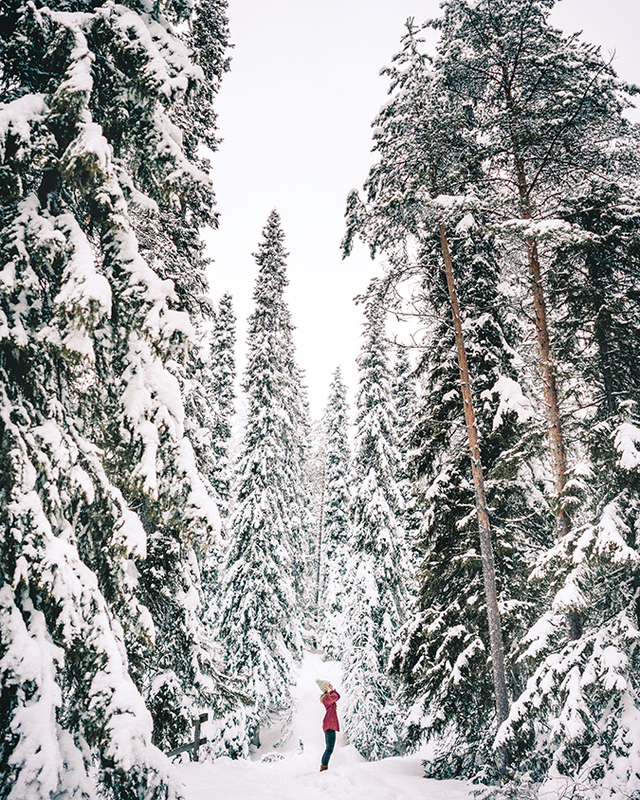 Kuusamo is a must, purely for the nearby national parks and Ruka ski resort, all within driving distance. 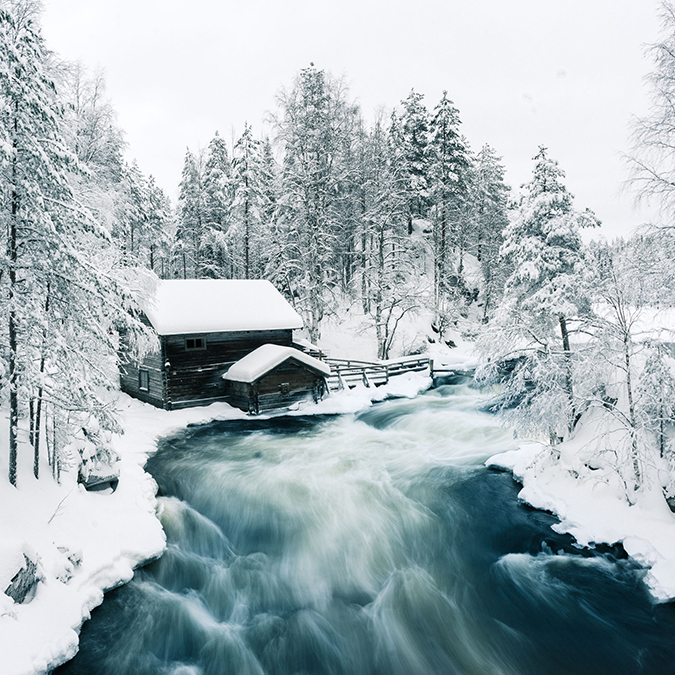 It’s a great way to round off your trip with the beautiful natural landscapes of Finland! Ruka Ski Chalets – In terms of location and convenience, this is a top pick. These chalets are located at the base of Ruka’s ski slopes and nearby plenty of restaurants. Original Sokos Hotel Kuusamo – This hotel offers all the basic amenities you need (including in-room saunas, a bar and restaurant). Bonus: they also have reindeer! A reindeer at Sokos Hotel coming over to say hello. 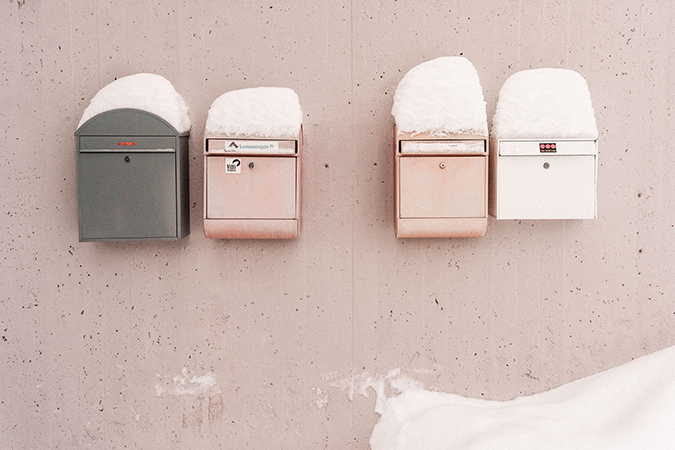 Snow-covered mailboxes outside of our hotel. Classic Pizza Ruka – We stumbled on this cozy pizza joint after a long day of hiking, and it hit the spot. Hanki Baari – This lively bar has a short menu that changes daily, featuring everything from fresh soups to local fish and meats. Don’t forget to try one of their cocktails! Studio Restaurant Tundra – If you’re looking to splurge, head over to this Chef Jarmo Pitkänen’s private restaurant. He calls each fixed course menu a ‘gastronomic journey’, inspired by his own travels and local specialties. 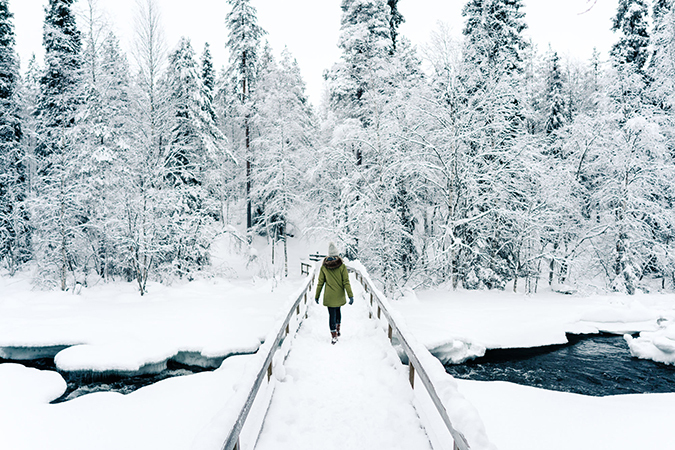 Visit the National Parks – Choose from Oulanka National Park, Riisitunturi, Paanayarvi – or all three. You’ll explore hanging bridges, cabins, frozen rivers, and so much more. One of the picturesque cabins located inside Oulanka National Park. Go Skiing – The lights at Ruka allow for skiing all day, despite the minimal daylight in winter. The après-ski vibes here are especially fun, and you’ll love the variety of restaurants located at the bottom of the slopes. 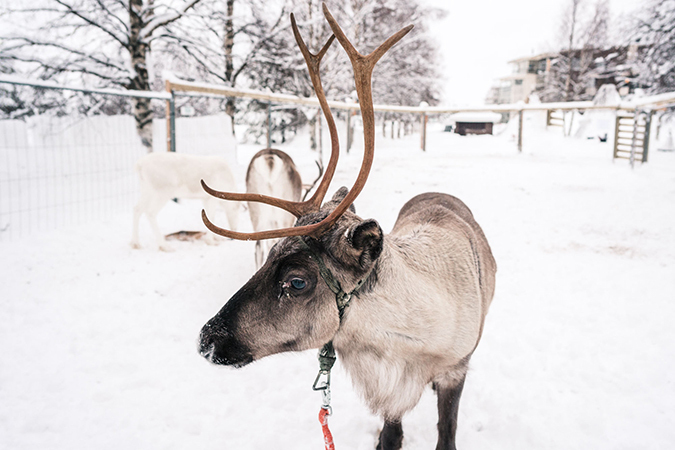 See Reindeer – I personally loved feeding the reindeer more than anything, but reindeer rides are also an option at this local farm. Feeding moss to baby reindeer. They love eating it! Pack appropriately. You’ll need multiple layers daily – I recommend wool sweaters, scarves, hats, snow boots, and of course: long underwear! Lapland is big, so renting a car will allow you the freedom to explore this region. All cars come with snow tires but it’s also worth taking a couple minutes to refresh on the proper protocol for driving in the snow. Don’t forget to take daylight hours into account. When we visited Lapland in December the sun rose at 10:30am and set around 2:00pm! Seeing the northern lights is not guaranteed. Warmer temperatures usually mean clouds, which makes it nearly impossible to spot the Aurora Borealis. Don’t let that bring you down – we had cloudy weather, but that also meant it snowed a lot, which made for some beautiful days. Visiting Finland has just made me want to explore more of Scandinavia. Here’s to braving the cold and heading north more this winter! What city would you like to see Selena cover next?